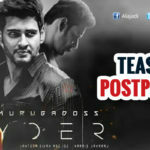 As well know that the teaser of Superstar Mahesh Babu and director AR Murugadoss’s most awaited flick ‘SPYder‘ going to be released yesterday(May 31st) on eve of ace actor Krishna Birthday. But the teaser date is postponed due to the sudden Death of legendary filmmaker Director Dasari Narayana most notable person of the industry. He is active in many areas in movies like acting, writing, directing, producing and others. He is the most bellowed personality for many of the people in Tollywood. Concerning this regard now two major movies were stopped to pay tribute to him. Even Superstar Krishna has also decided to not celebrate his birthday today. The teaser will give the glimpse of how big and stunning the movie is shaping up.It will definitely hype up the project further after the release of the teaser.The teaser is said to be featuring some stunning special effects that are made with huge budget. Director Murugadoss spent more than one month to cut this trailer. This is going to be one of slickly cut teasers in South India, the team asserts. 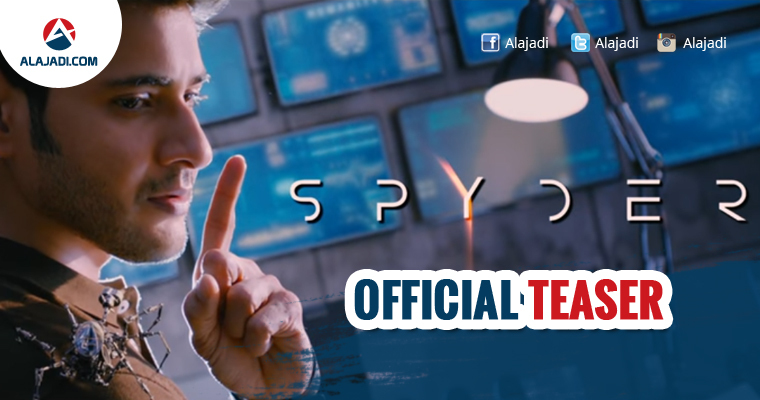 SPYder is being simultaneously made in Tamil and Telugu. In this Film Mahesh Babu plays the role of a secret agent in the film. Rakul Preet Singh will be seen as his leading lady in the film, while SJ Surya is the antagonist in the AR Murugadoss-directed project. Bharath, Priyadarshi Pullikonda, RJ Balaji and others play supporting roles. The film features Harris Jayaraj’s music, Santosh Sivan’s cinematography and A Sreekar Prasad’s editing. Recently, Mahesh Babu has announced that movie will be released on the occasion of Dussehra as the festive treat to fans and audience.